The towering giraffe slowly bent towards my face. I bit a twig with leaves on my mouth to attract this gentle giant. While it devoured the leaves from my mouth, I had to remain still. 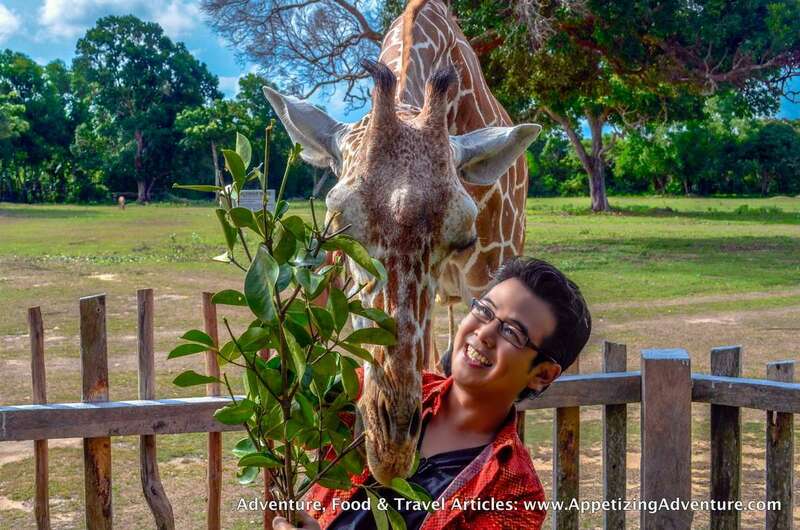 That’s a different kind of intimacy I experienced at the Calauit Safari Park in Palawan, Philippines. 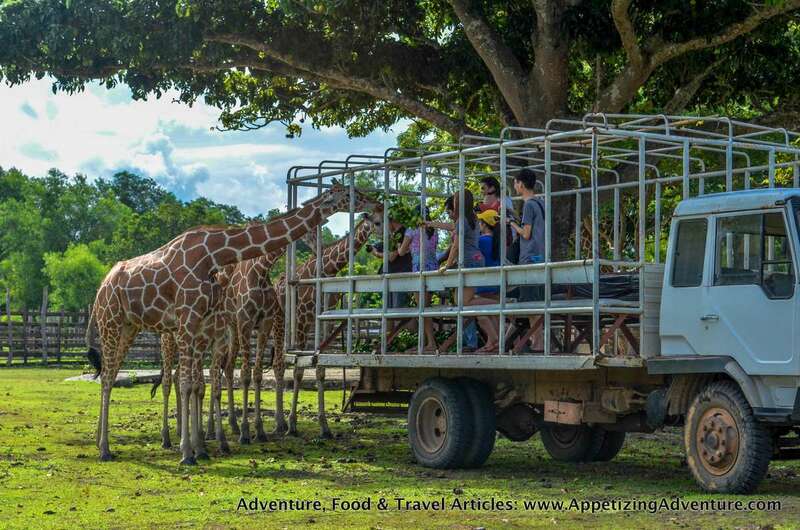 The Philippines’ answer to the African safari may very well be the Calauit Safari Park. 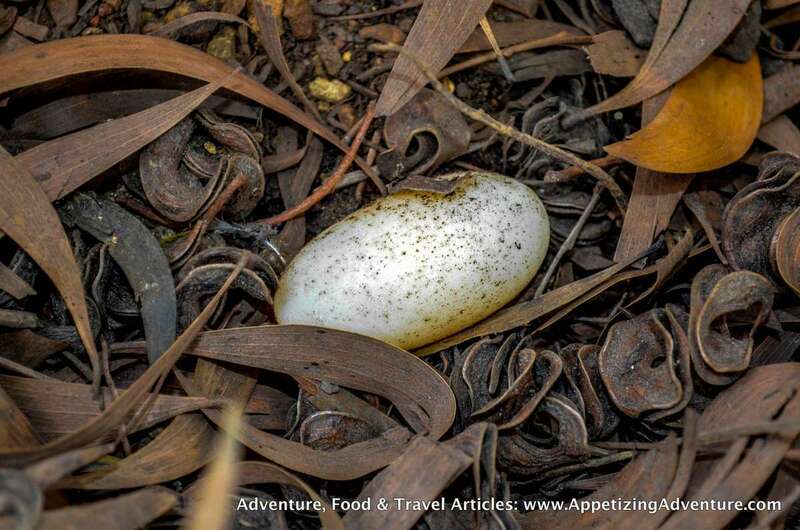 It’s located on the Calauit Island in Busuanga Town in the province of Palawan. 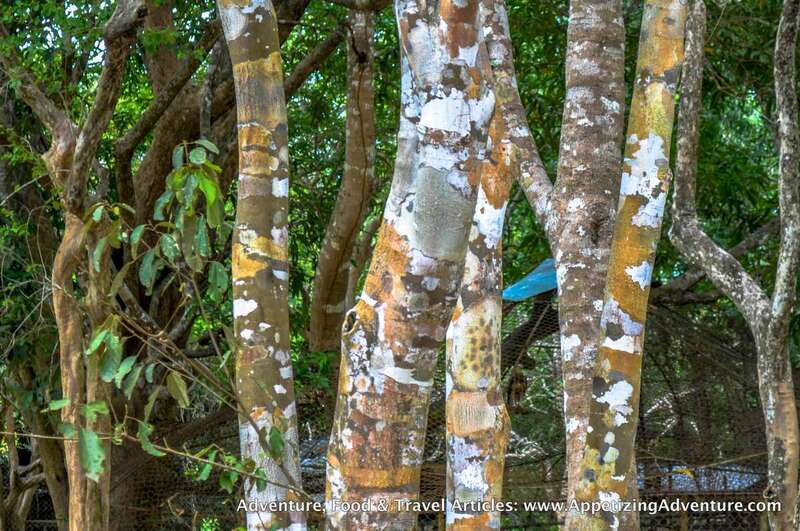 The 3,700-hectare land was declared a game preserve and wildlife sanctuary in 1977. 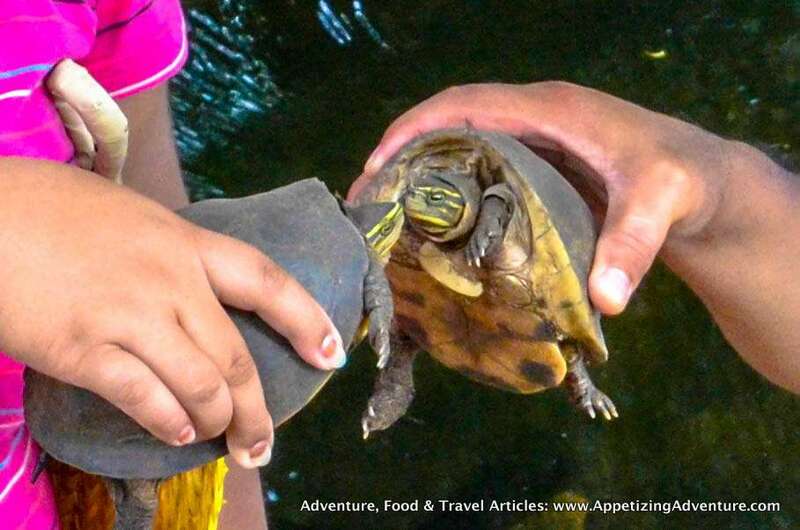 African and Philippine animals co-exist here, including giraffes, zebras, porcupines, snakes, Calamian deer, mouse deer, bearcat, Palawan peacock pheasant, sea turtles and the Philippine crocodile. 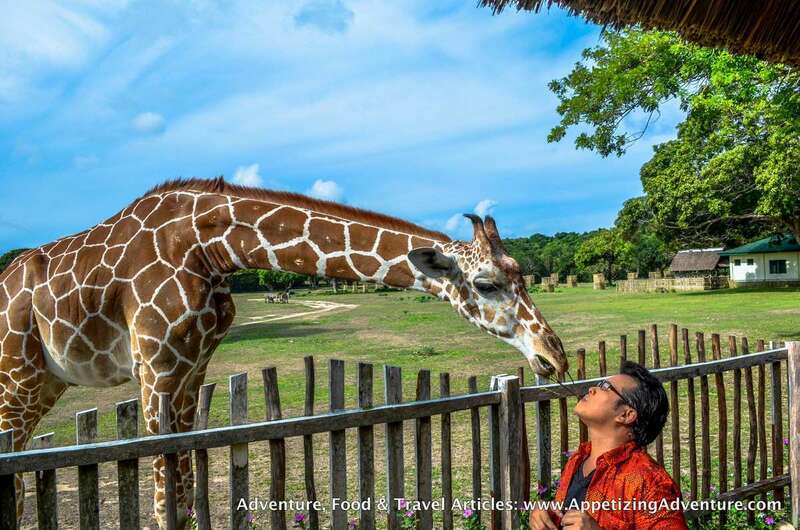 Park manager Froilan Sariego told me that there are different ways I may want to try to experience feeding the giraffes. Giraffe feeding is the highlight of the tour. I was advised not to make sudden movements that could startle the giraffes and make them kick. With those legs, a kick might throw me off a few feet. We went to the area where the leaves are brought to for feeding. They were piled up. I grabbed as much as I could and saw the giraffes speeding towards my direction. Even before I could raise my arms to feed them, a giraffe stretched its neck down, bit on the twigs I was holding, and pulled them up. It was so strong. I could’ve sworn it lifted me a few centimeters off the ground. Seeing them this close was an awesome experience, Froilan said I could go even closer. A truck of tourists arrived in the area and I was jealous. They were touching the giraffes! They were inside the truck and metal grills protected them. From inside, they had a bunch of leaves. 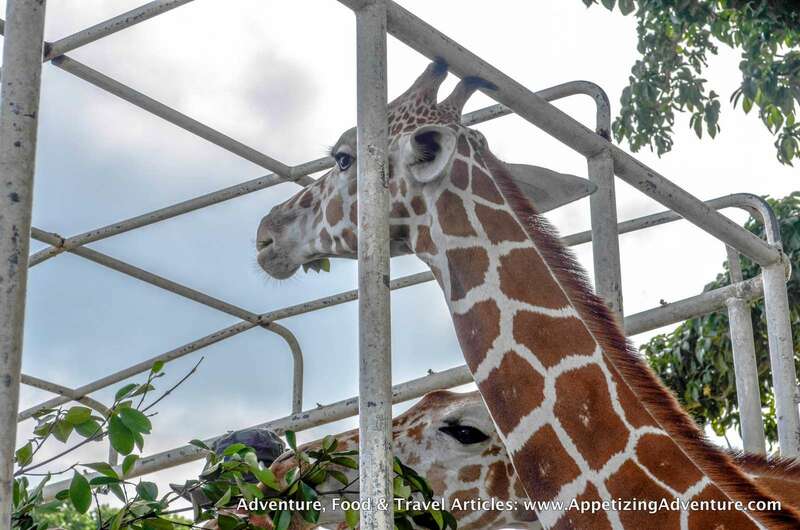 When the giraffes stretched their necks to the metal grills of the truck, the tourists were able to touch their cheeks. Froilan brought me to the gazebo and gave me instructions so I could hug a giraffe. I was excited! Wow! Hugging a giraffe. Never in my life did I imagine it was possible. I stayed behind the gazebo fence to protect me from the giraffes, just in case they get startled. I had twigs with me. I turned my back from the giraffes while holding on to the twigs raised to my chest level. And then, nervous as I was, I felt the giraffe’s head over my shoulder, reaching for the leaves. While it was feeding, I was able to wrap my arm around it. It wasn’t scared and seemed used to being touched. It was a magical moment for me. 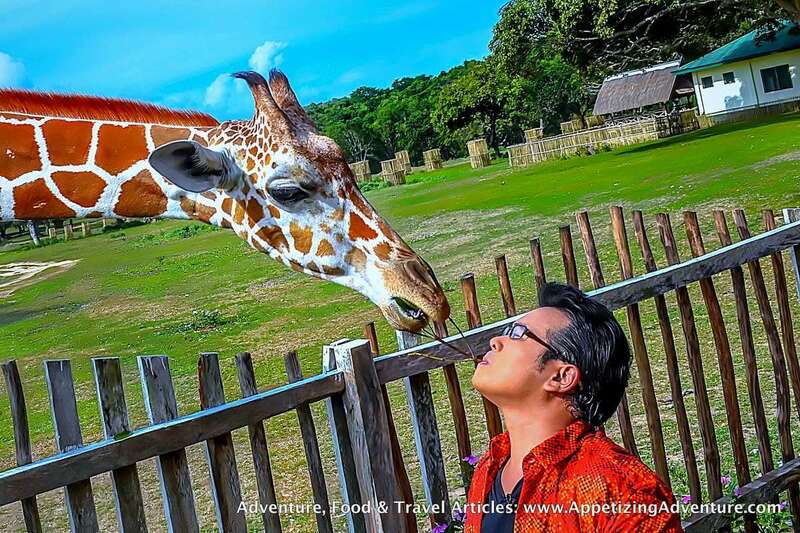 I was asked if I wanted to get a kiss from a giraffe. Of course I said yes! I was instructed to put the twig on my mouth and wait for the giraffe to eat it. It’ll be like kissing. But wait! What if it licks my lips? Worse, what if it bites my lips? I had to rest my worries and just go do it. 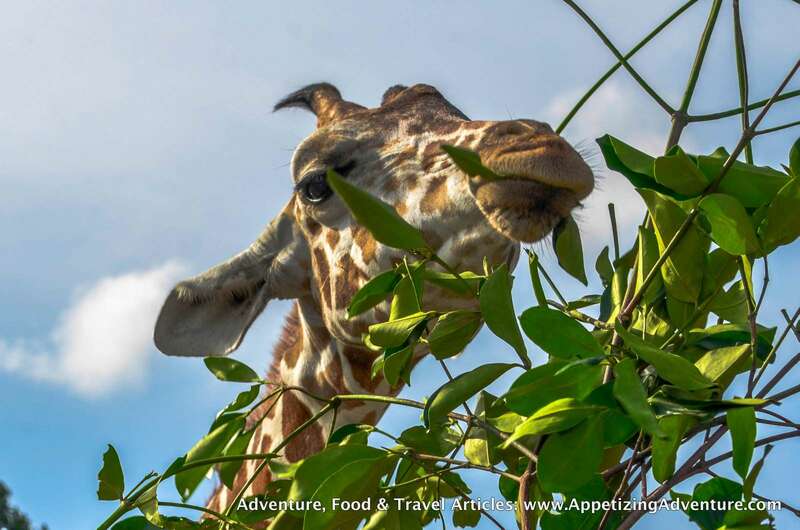 With its food on my mouth, one giraffe stretched its neck down towards my face and nibbled the leaves carefully until no leaves were left on the twig. Sweet! 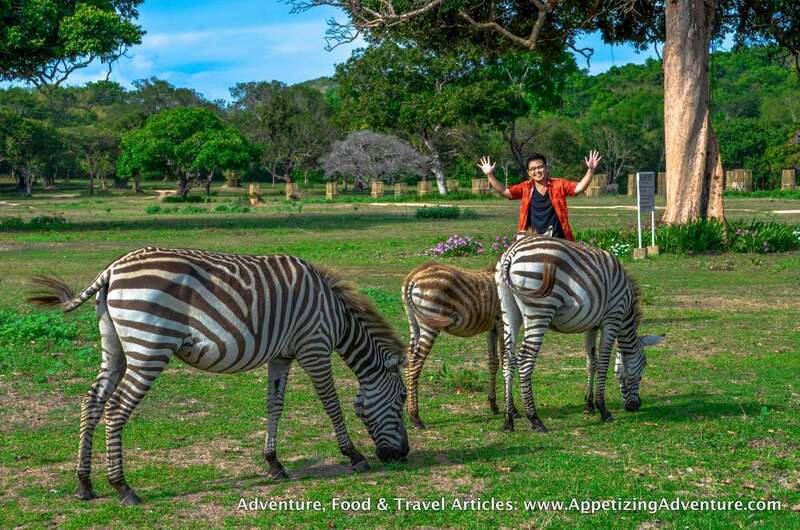 After the awesome giraffe-feeding experience, I tried to do the same with the zebras. It turned out to be frustrating. They ran away every time I tried going near them. 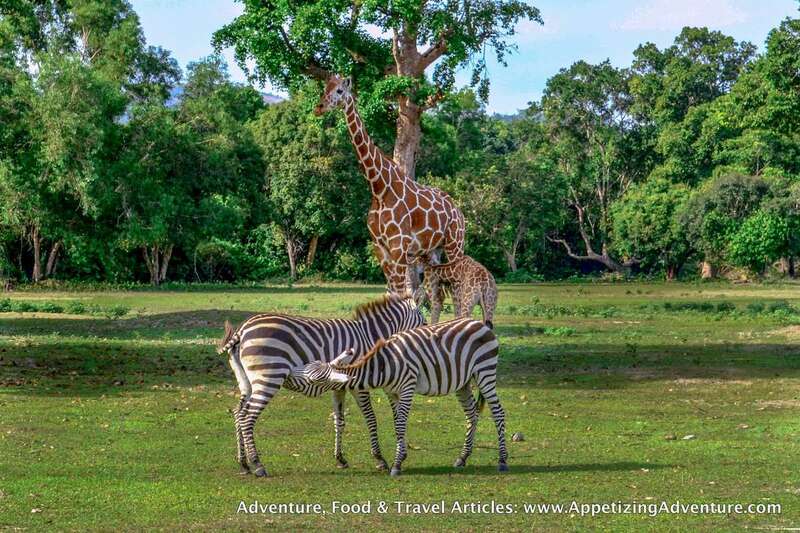 It’s a far cry from the domesticated zebras I experienced at the Taman Safari in Indonesia where the zebras stretched their necks into the car to eat the carrots I had. This was the closest I could get to Calauit Safari’s zebras. They’re shy and run away from tourists. 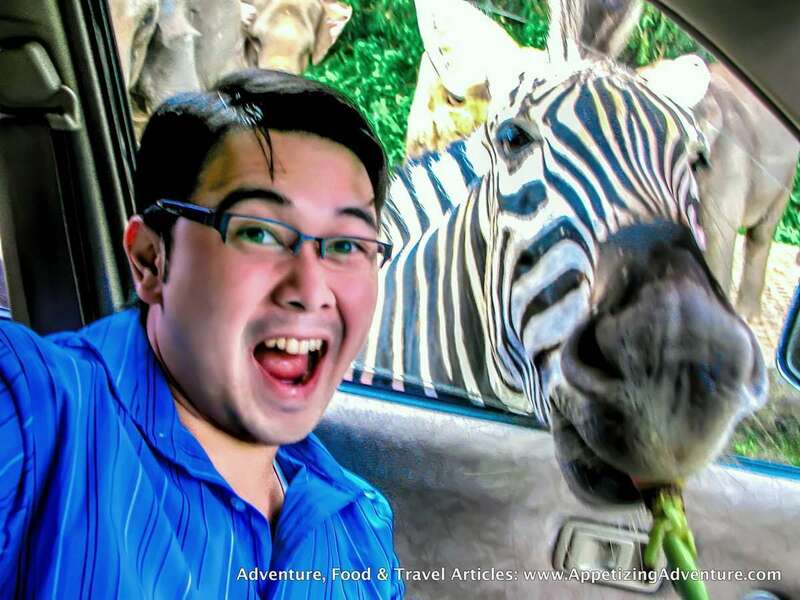 Zebras in Indonesia’s Taman Safari will try to go inside your car to eat the carrots you have which makes the tour a lot of fun. Minutes later, I hopped on the roof of the rover to visit the other animals here which were caged. From the roof, I had a great view of the giraffes, deer, and zebras, running in the wild, grazing, and some, sleeping. 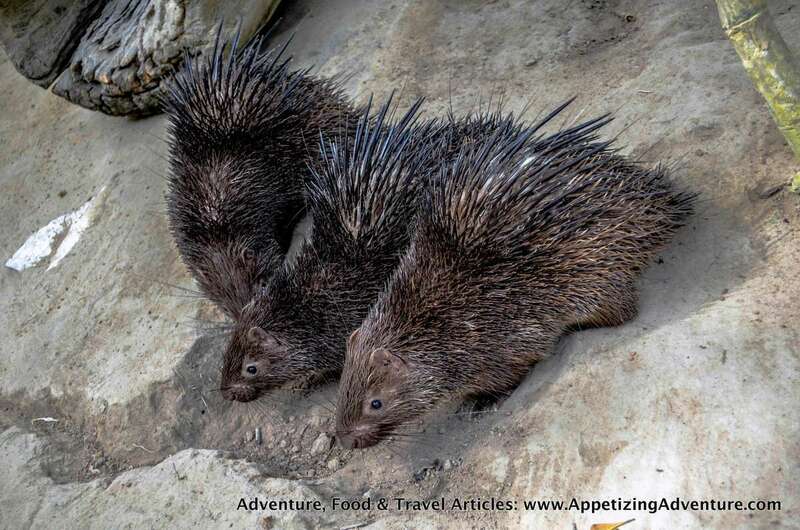 My favorite caged animal is the porcupine. I was able to go near it and it didn’t shoot spikes. I didn’t try to hold its spikes though. There was a tree they called the camouflage tree. It looks like the camouflage uniform of servicemen, otherwise called fatigues. 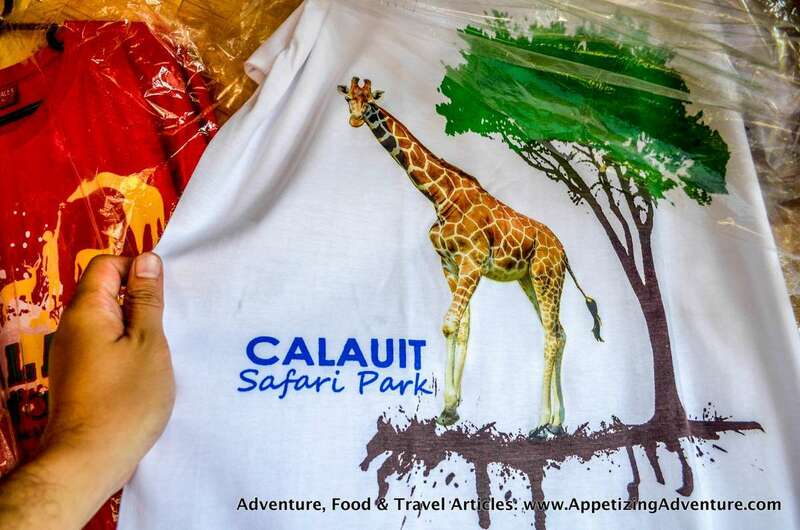 The whole Calauit Safari was truly fantastic and is a must Philippine destination. 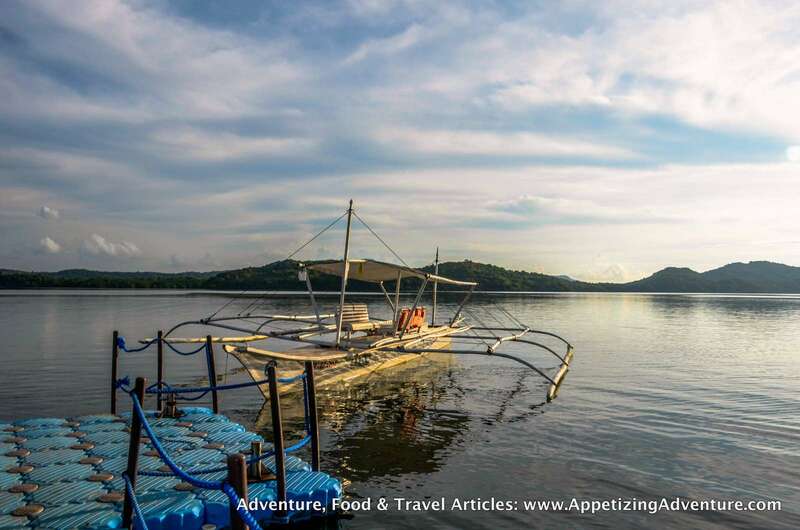 The usual way to go here is to fly from Manila to Coron Town which is the neighboring town of Busuanga. 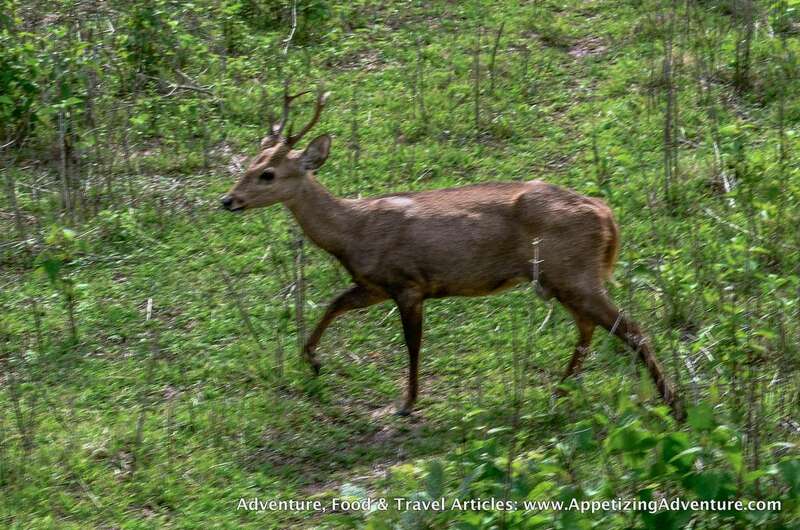 Coron offers a lot of tour packages including the Calauit Safari Tour. Once you’re in Coron, you can either get in touch with a tour operator or make your own itinerary. 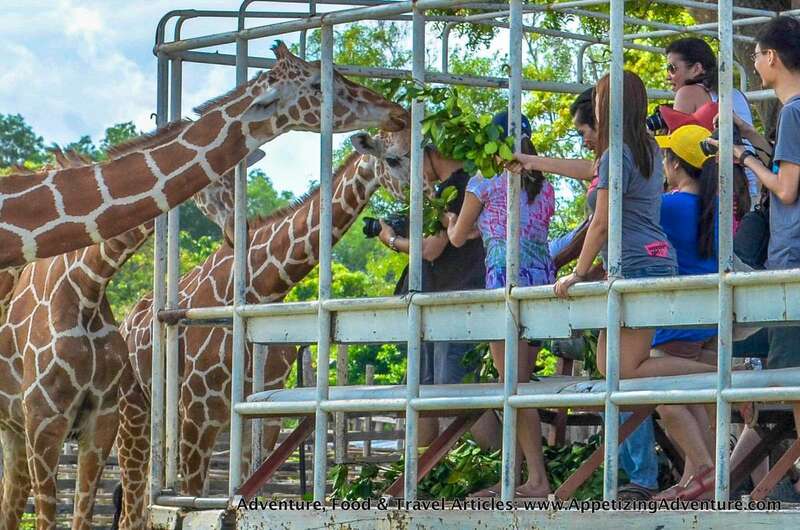 If you decide to create your own adventure, you have to get in touch with Coron Municipality Tourism Office and secure permits to go to Calauit Safari Park. 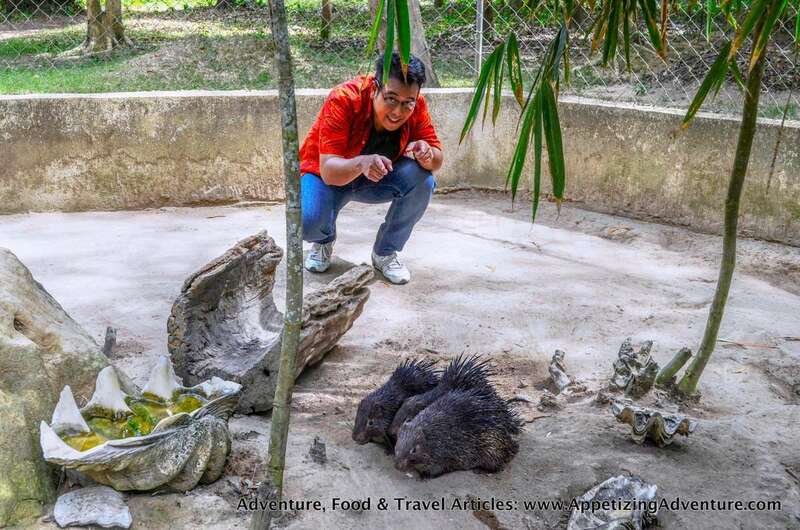 On the fourth day of my Coron tour, I had to get up at 2am to prepare for the trip to Calauit Safari Park. The van arrived at past 3am. The rental fee may range from Php6,500-Php9,000 depending on the model of the van you want to use. This could easily fit 12 persons so all of you could split the bill. 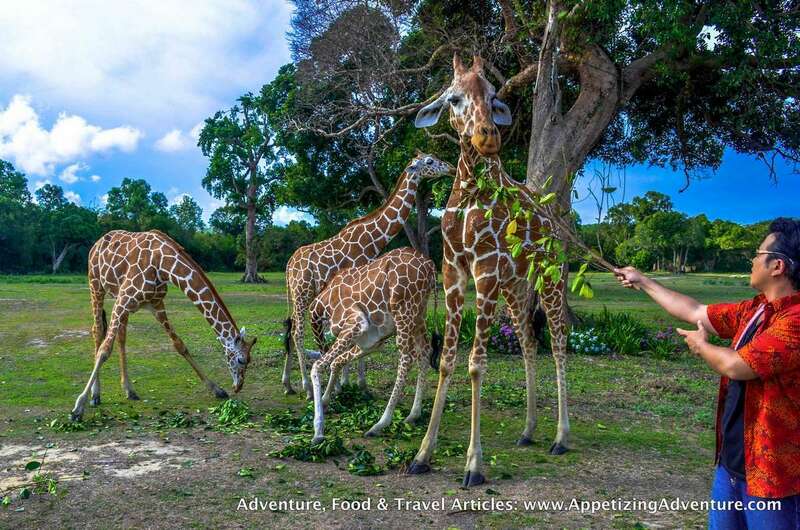 Tourists have to leave early because the feeding time of the giraffes is from 7am-9:30am and the travel time is two to three hours. My land trip to Calauit began at 4am. It was difficult to sleep during the bumpy ride. You also have an option to rent a boat, but I wouldn’t want to ride a small boat in pitch black during the wee hours with all the waves that can make me sea sick. Going by boat, I think, is cheaper though. At the drop off area, I was finally able to use the toilet after the 2.5 hours non-stop travel. 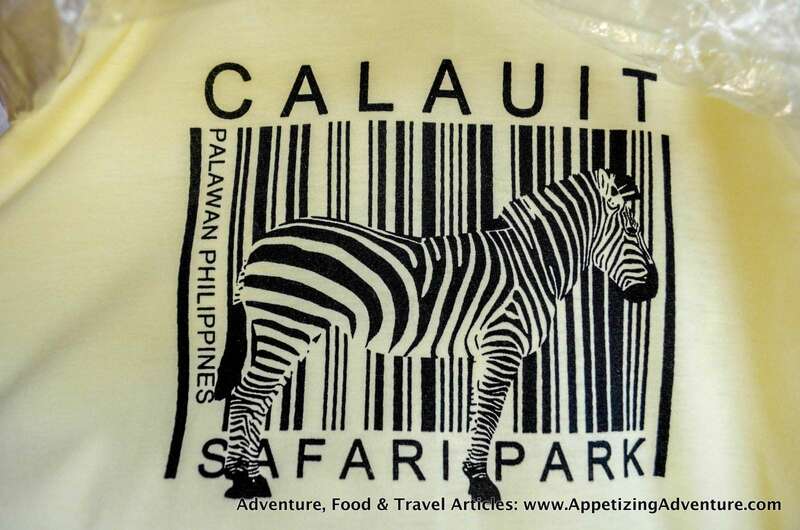 There’s a souvenir shop here selling really beautiful Calauit shirts. A few steps from there was a boat that brought us to the Calauit Information Center. 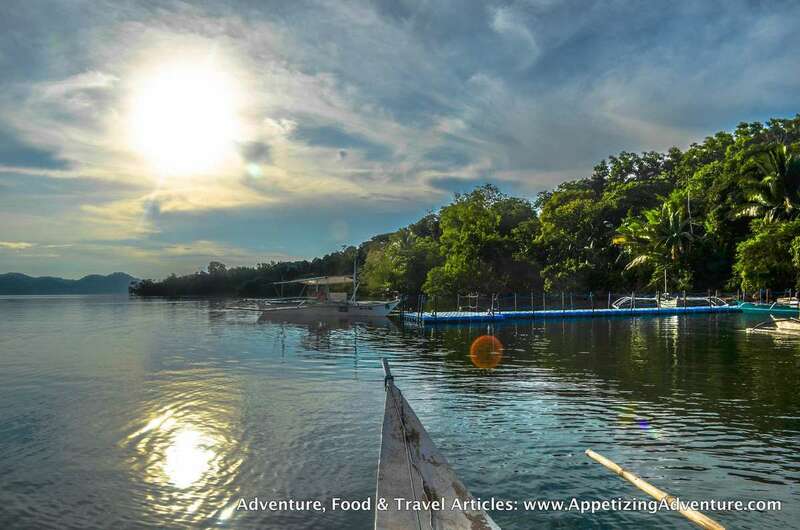 The two-way ten-minute boat ride costs Php400, so if you’re in a group, you can split the bill. You will have to register at the information center and pay Php200 if you’re Filipino, and Php400 if you’re a foreigner. 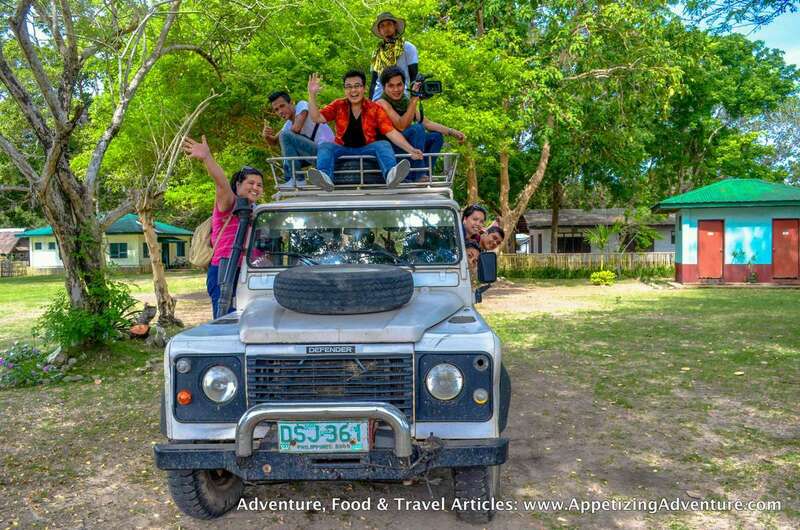 The usual way of touring the safari is by renting the tour truck that costs Php1,000, good for two hours. The truck has a maximum capacity of 20 persons. 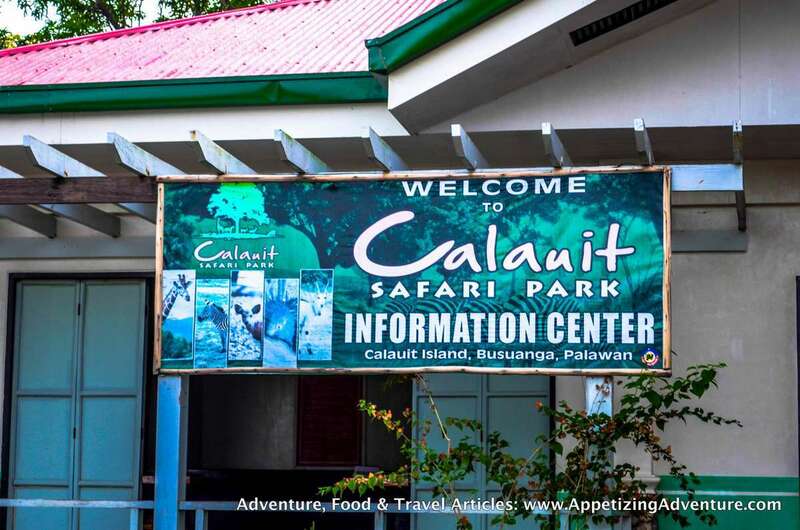 The towns of Coron and Busuanga have an agreement regarding the Calauit Safari Tour. 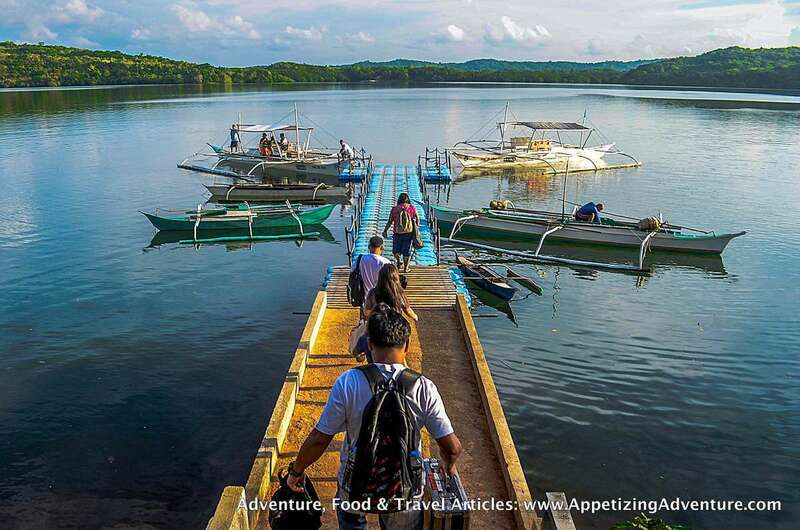 Coron Town helps tourists find an easier way to go to Calauit in Busuanga. Tel. No. : You may contact Mr. Froilan Sariego, the park manager, 0926-1144443. I suggest you send him a text message first and he will tell you the best time to call because the signal at the park is weak.